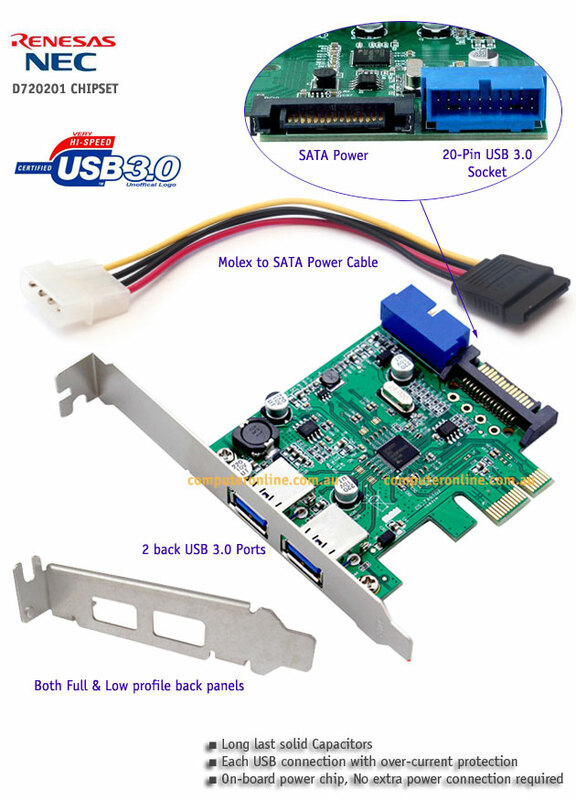 2x back USB 3.0 ports. A spare power connecter from your computer power supply what ever Molex / SATA. 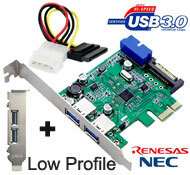 USB 3.0 Card with Full profile panel. A spare low profile back panel.